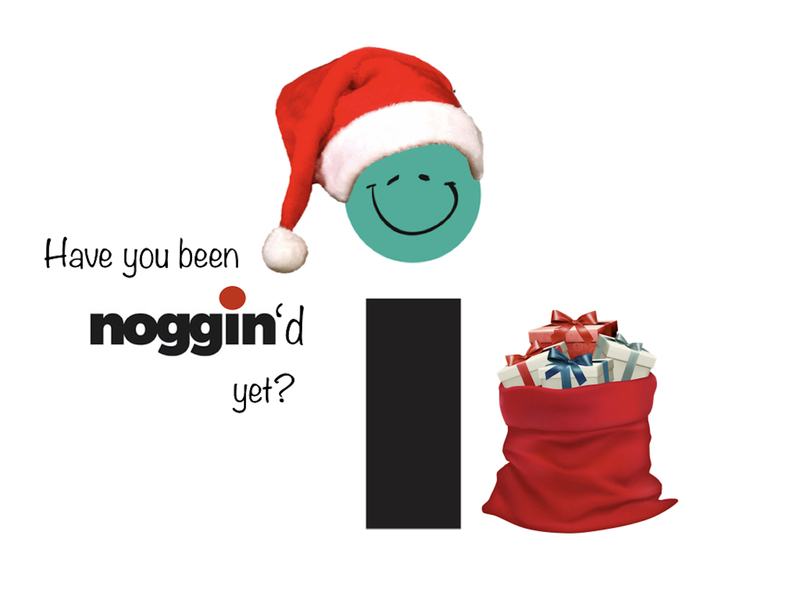 HomeUncategorised Have You Been Noggin’d? Those of you featuring on Noggin’s ‘Gin, Wine & Coffee’ CRM system will be curious what the above means! And fans of our infamous ‘Dry January – never’ blog from early 2018 will be wondering if they’ve missed a festive knees-up in Soho. Now, we’re not ones to refuse rich, creamy, dairy-based beverages containing rum, brandy and sometimes bourbon… oh, and whipped eggs… but sadly this year we’re working right up until the break, surfing existential waves of organizational self-discovery with our biggest client. Hence the title of our December blog. Naturally for such a universal question, we received a universal answer! And no, it didn’t involve a pub crawl. Far more efficiently, it was ‘use social media’. As we all know Santa’s workshop in Lapland is currently full of industry as the elves prepare for Christmas. You don’t need a workshop to produce the same thing over and over again. For that you need a production line. You need a workshop to build something original and unique. It’s also why we sometimes talk our way out of work here at Noggin HQ. When asked to help solve a significant staff turnover issue for a client by building them a clone army, we simply walked away. Human dolly the sheeps just ain’t our thing. Another potential client were setting time targets for client engagement. To enforce these ideals, they wanted us to help introduce specific prescribed behaviours for their staff to exhibit towards new customers. We diplomatically reflected that this would have no integrity, was out of alignment with their organizational values… and turned up our brightly colored festive noses (that’s a Rudolph joke, not a drinking joke). Point is, we aren’t here to pedal propaganda-by-powerpoint for the patriarchy. That’s why people often end up feeling patronized in most ‘training’ environments – they are treated as if they don’t have a sense for what is really happening in their organization, and by proxy taught that their own point of view doesn’t matter. In the pub the other night, one of us posited that the opposite of patriarchy is matriarchy. The next day, more clear headed, we realized it’s not. We found this feedback from a participant particularly encouraging for this time of year, when the chances of eating healthy are obscure to say the least. Noggin provides workshops where human beings get to create themselves in their own image, meaning no two participants ever emerge the same. They get to take existential pit-stops, start from scratch, and re-discover the human inside the professional… and then take that out into the world. Starting in their own organisation. Which to us, feels like a gift worth giving. Hence graduates are always on the lookout for other graduates, so they can conspire, infiltrate and – holistically of course – become the change their organisation needs. We hope this gives you an insight into what it’s like to ‘get Noggin’d’. We think it makes us different to most ‘training’ businesses. To help us illustrate our point, we’d like you to tell us about your most patronising workshop experiences. Either comment on the thread below, or email your most excruciating training anecdotes here: info@mynoggin.com … three winners will ‘get Noggin’d’, early next year, with a free coaching session or workshop.